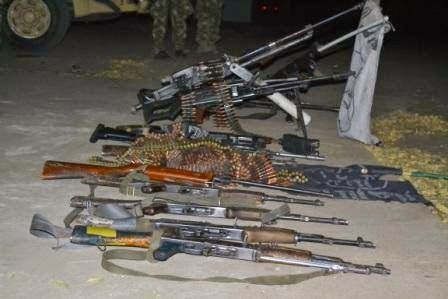 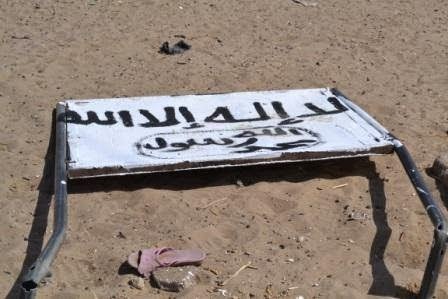 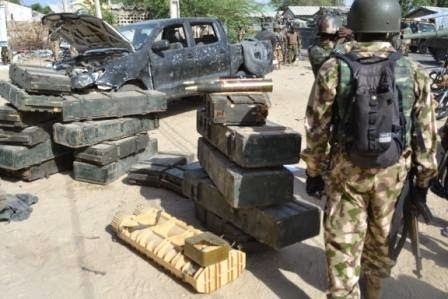 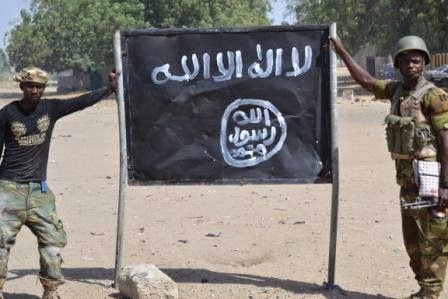 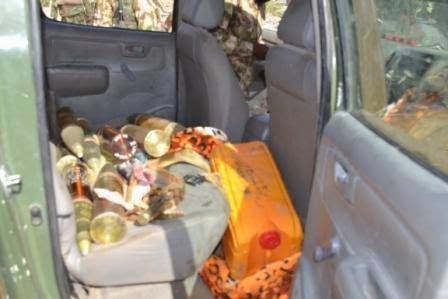 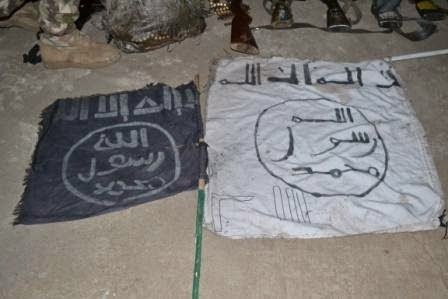 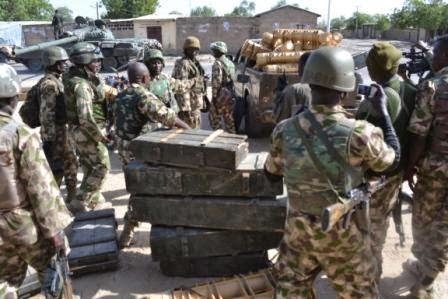 Nigeria Military Kill 300 Boko Haram Members, Capture Their Weapons And A Number Of Insurgents! 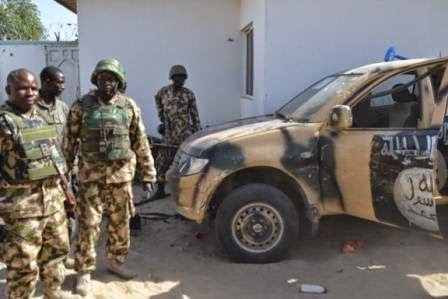 Mpping up operation of some of the communities where terrorists have been cleared in the course of on-going air and land operations against terrorists has indicated massive casualty inflicted on them within the last two days of the counter terrorists operations. 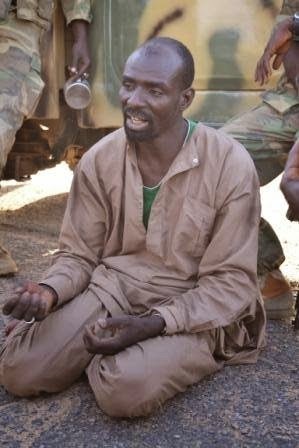 Over 300 terrorists were killed while a few were also captured. 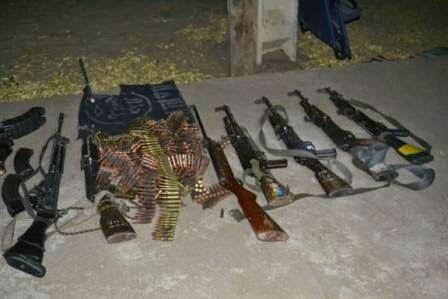 Several weapons and equipment were also captured and some destroyed. 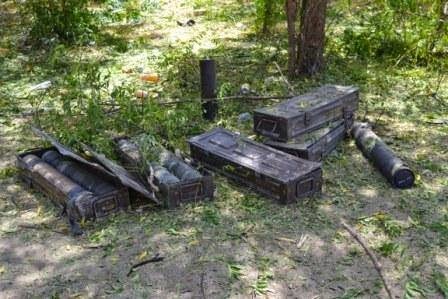 It has been confirmed that that 5 different types of armoured fighting vehicles, an anti-aircraft gun, about 50 cases of packed bombs and 8 different types of Machine Guns, 5 Rocket Propelled Grenade, 49 boxes of various types and calibres of ammunition as well as 300 motorcycles destroyed in the fighting. 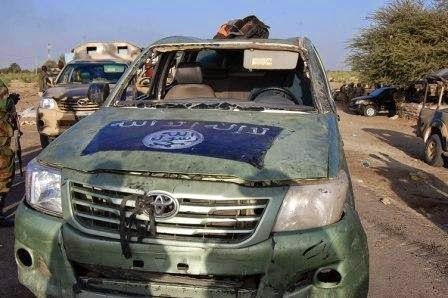 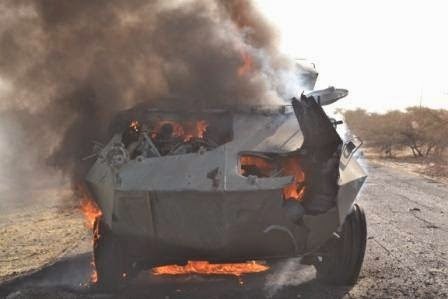 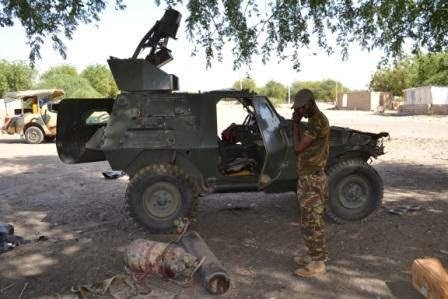 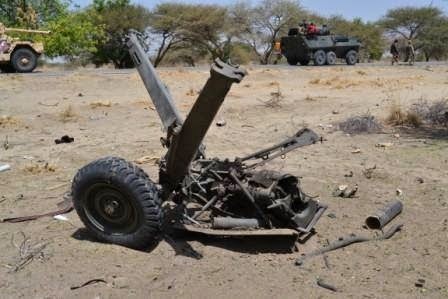 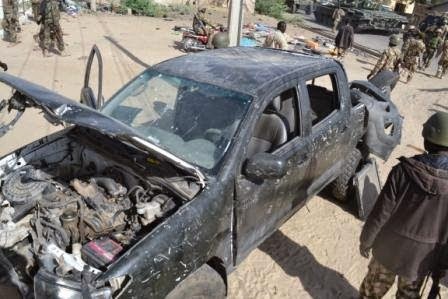 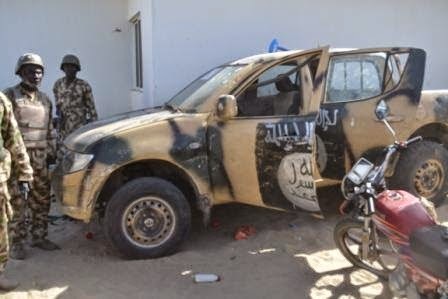 A total of 6 Hilux vehicles including those mounted with anti-aircraft guns were also destroyed. 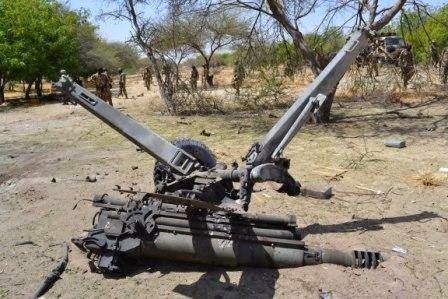 However, 2 soldiers lost their lives while 10 others were wounded in the course of the operation. 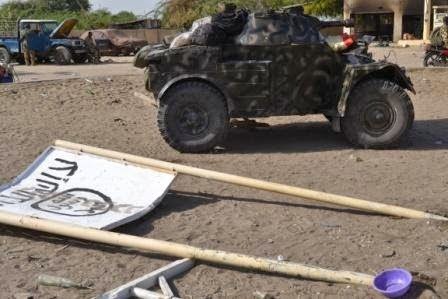 The cordon and search operations is continuing along with aggressive patrols by troops who are now dominating the cleared communities such as Monguno, Gabchari, Abba Jabari, Zuntur, Gajigana, Gajiram, Damakar, Kumaliwa, Bosso Wanti, Jeram and Kabrisungul. 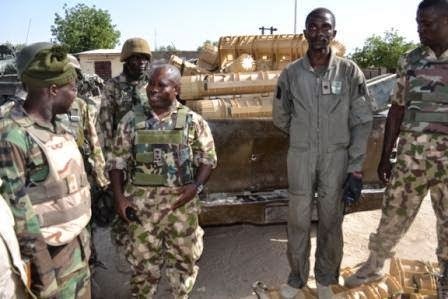 The various phases of the highly coordinated air and land operations is also ongoing in the designated theaters being handled by contingents involved in the renewed counter terrorism campaign in and outside Nigeria.